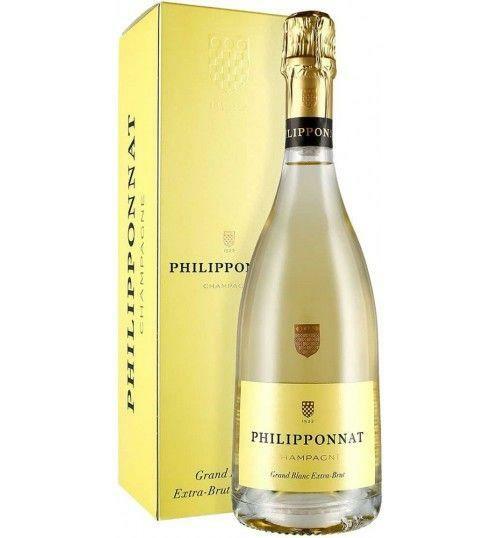 Extra Brut 'Grand Blanc' by Philipponnat is a millesime of Chardonnay, elegant, which maintains the balance between freshness, floral aromas and vinosity. Extra-brut dosage (4.25 g / l) which preserves the purity and nobility of its origin. Aging of at least 8 years to obtain the maximum complexity of the wine and bring out the secondary and tertiary aromas. Excellent. THE WINE Extra Brut 'Grand Blanc' by Philipponnat is a millesime of Chardonnay, elegant, which maintains the balance between freshness, floral aromas and vinosity. Extra-brut dosage (4.25 g / l) which preserves the purity and nobility of its origin. Aging of at least 8 years to obtain the maximum complexity of the wine and bring out the secondary and tertiary aromas. Excellent. THE COMPANY The Phillipponnat maison, universally recognized as one of the most important Champagne houses, was founded in 1522 in Mareuil-sur-Ay. This maison had the privilege of being a supplier to the French king Louis XIV and, over the centuries, has been able to maintain a role of international supremacy. The village of Mareuil, practically a single road dotted with small vignerons, is located in the center of Champagne, at the point where you meet the three large areas in which the region is divided: Montagne de Reims, Vallée de la Marne and Cote des Blancs. Philipponnat has 20 hectares of vineyards, as well as in Mareuil, also in the municipalities of Ay, Mutigny and Avenay, all magnificently exposed to the South. The excellence of the vineyards is the Clos des Goisses: 5.5 hectares of vineyards so make it possible to produce a vintage even in less favorable years. The term "goisses" is the feminine of "gois", which means "very difficult to work", in fact the slope that goes from 30 ° to 45 ° is such as to make it impossible to use agricultural machinery, so all the work performed in the "clos" are performed manually, as in past centuries. From this small vineyard, a historic label of the fashion house has become very famous in Italy, also because it was the favorite of Gianni Agnelli. Pierre Philipponnat bought this wonderful vineyard in 1935 from the Visconti d'Ay family and today is considered a treasure of inestimable value. Today Charles Philipponnat, heir to this glorious family tradition, with great passion and competence continues the work of his predecessors to keep up the name and prestige of the house. The unique and inimitable style of the maison is the result of a century-old savoir faire both in the vineyard and in the winery which includes careful and scrupulous vineyard management, linked to a profound environmental sensitivity, and a vast heritage of reserve wines aged in wood with solera method. 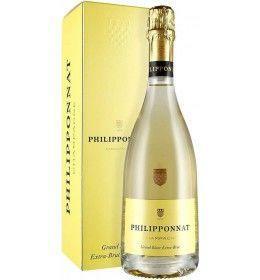 This is how Champagne Philipponnat, known all over the world, are born, among the best interpreters of this type. Tasting Color: light gold yellow. Perlage: elegant and fine bubbles. Bouquet: fine and delicate that combines notes of citrus peel and white flowers. Taste: elegant and creamy, fresh and mineral with notes of plum Mirabelle. The Phillipponnat maison, universally recognized as one of the most important Champagne houses, was founded in 1522 in Mareuil-sur-Ay. This maison had the privilege of being a supplier to the French king Louis XIV and, over the centuries, has been able to maintain a role of international supremacy. The village of Mareuil, practically a single road dotted with small vignerons, is located in the center of Champagne, at the point where you meet the three large areas in which the region is divided: Montagne de Reims, Vallée de la Marne and Cote des Blancs. Philipponnat has 20 hectares of vineyards, as well as in Mareuil, also in the municipalities of Ay, Mutigny and Avenay, all magnificently exposed to the South. The excellence of the vineyards is the Clos des Goisses: 5.5 hectares of vineyards so make it possible to produce a vintage even in less favorable years. The term "goisses" is the feminine of "gois", which means "very difficult to work", in fact the slope that goes from 30 ° to 45 ° is such as to make it impossible to use agricultural machinery, so all the work performed in the "clos" are performed manually, as in past centuries. From this small vineyard, a historic label of the fashion house has become very famous in Italy, also because it was the favorite of Gianni Agnelli. Pierre Philipponnat bought this wonderful vineyard in 1935 from the Visconti d'Ay family and today is considered a treasure of inestimable value. Today Charles Philipponnat, heir to this glorious family tradition, with great passion and competence continues the work of his predecessors to keep up the name and prestige of the house. The unique and inimitable style of the maison is the result of a century-old savoir faire both in the vineyard and in the winery which includes careful and scrupulous vineyard management, linked to a profound environmental sensitivity, and a vast heritage of reserve wines aged in wood with solera method. 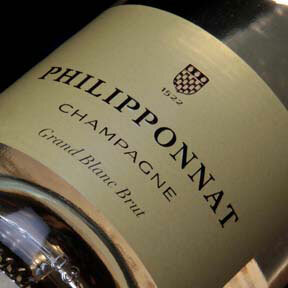 This is how Champagne Philipponnat, known all over the world, are born, among the best interpreters of this type.